I don't think I've ever had a caption contest with more possibilities than this one. Yesterday I blogged on a rumour that Barry Sheerman MP would put himself forward as a ‘stalking horse’ candidate in a Labour leadership contest. 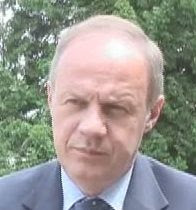 The decisive point may be when Sheerman, one of Brown’s arch-critics, attempts to win the chairmanship of the Parliamentary Labour Party at the end of the month. The fact that Sheerman is standing for the role at all is a pretty clear sign to Brown that moves are afoot. I’m told that Sheerman and any rebels will watch the number of votes that he gets in the chairmanship race to measure whether there is wider appetite for a coup. If the votes for Sheerman tumble in, then we could see some leadership contest action – though a lot depends on how things go with the Sir Thomas Legg review. If MPs are continually pushed by Brown to pay up and they are hit with big bills then the PM could be in for trouble. Keith Vaz doesn’t shy away from the limelight, and his tendency to get famous people into the Home Affairs Select Committee makes me cringe. In fact I wouldn’t be surprised if one day he applied to go into celebrity Big Brother – we might even see him purring and licking imaginary milk from Anne Robinson’s hand. Shiver. 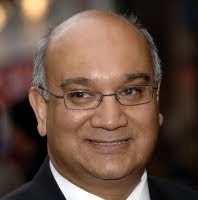 In the past Vaz has had Cherie Blair in to committee, Shilpa Shetty into Parliament and he put down a motion in the Commons celebrating the life of Michael Jackson. Anything for a bit of that celebrity stardust to rub off. His most recent move is to bring Amy Winehouse’s dad into the committee to talk about cocaine addiction. Harman takes on Gord's leadership role, says Labour rebel. 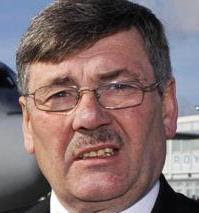 Alan Simpson has got a big old rod out and is stirring up the doo-doo to the best of his ability. The Nottingham South MP, who earlier this week said he would only pay £500 back if he were forced to by the courts, lauded Harriet Harman today for taking on the role that he said the PM had “walked away from”. 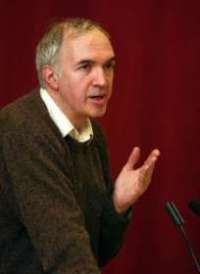 Simpson claimed Brown had “rolled over” on the expenses issue by simply ordering his MPs to hand whatever money back that Sir Thomas Legg demanded. The rebel MP added that even loyal Labour members – like those who criticized Brown at the party’s meeting on Monday night – were beginning to realise that the PM would sacrifice anyone and anything to keep himself in Number 10. Then up pops Harriet Harman during yesterday’s Business Questions to suggest that MP’s would be justified in not paying money back and that they were free to challenge Legg’s findings. Rumours of a new plot to overthrow Mr Brown have begun to circulate in the Palace of Westminster. 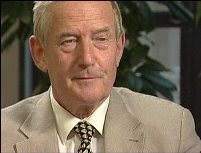 At the end of this month Barry Sheerman MP, an arch-critic of the PM, will attempt to become the chair of the Parliamentary Labour Party – the organisation of backbench members. Meanwhile another Notts MP Nick Palmer was among a group of ten members who launched Labour’s Future, set up to counter the idea that the party has become “intellectually exhausted”. Palmer denied the move was meant as a criticism of the way the party was being led. 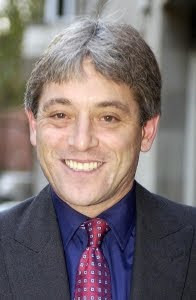 It seems that Labour MPs’ support for John Bercow in the Speaker’s election is coming back to haunt them and their wallets. For many of them, voting for Bercow was a sneaky political act designed to give a black eye to Tories who can’t stand the new Speaker. But yesterday, to many MPs’ annoyance, Bercow said Sir Thomas Legg could set 'retrospective' limits on spending and that MPs should pay what he’s demanding. What we’re seeing play out – with expenses, Bercow and Harriet Harman’s assault on the Legg review yesterday – is an extension of a spat that started in the Members Estimate Committee. The committee is the body that decides matters relating to MPs’ pay and expenses and it set the remit of the Legg review. It’s made up of six members including Harman and is chaired by Bercow. 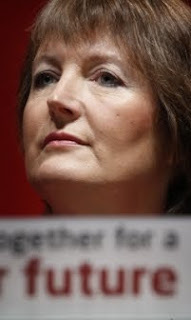 When it came to setting Legg’s guidelines Lobbydog has heard that Harman was really pushing for a much more specific, tight remit – and had the support of other members of the committee. But Bercow, who has the casting vote, decided the remit should be no tighter than the one that was eventually set. The remit leaves a little wriggle room for Legg, for example, by saying claims should be reviewed against “rules and standards” rather than just “rules” in place at the time. Accordingly while Bercow’s position is tied to implementation of the Legg review, Harman’s may be tied to batting it away. With rumours of a plot to oust Brown brewing, it won't damage Harman’s chances to be seen as defender of the Parliamentary Labour Party. 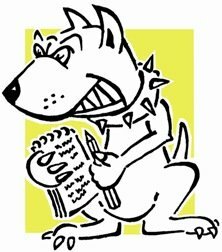 Lobbydog has heard that arch-Brown critic Barry Sheerman is thinking about putting himself up as a stalking horse in a Labour leadership battle. There’s no doubt that the Sir Thomas Legg affair has left some people in the party very angry at Gordon Brown at the moment. The plotters who tried to oust him earlier in the year may feel that they’d have a better chance now. In the summer many MPs were scared of toppling Brown because it would have meant an immediate election and imminent defeat to the Tories. But now an election is just around the corner anyway – maybe another leader could save a few marginal seats for Labour, they say. 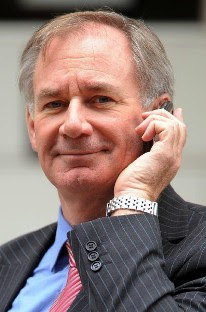 Sheerman has at least confirmed that he is thinking of standing against Tony Lloyd to be chairman of the Parliamentary Labour Party later this month. But the Huddersfield MP has denied this is part of a move to topple the PM. A frustrated Ken Clarke, who is tussling with Sir Thomas Legg over an expenses repayment, lashed out at Gordon Brown during a chat with Lobbydog last night. The conversation turned to Sir Thomas’ demand that the PM repay £12,000 that he’d claimed on his expenses. 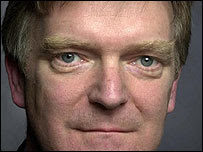 Mr Clarke said: “It was Gordon’s bright idea to show he was taking decisive action and it has cost him £12,000. It serves him right. “It’s doing terrible harm to politics and it has reignited public rage because people think MPs are now paying this money back because they‘ve stolen it – which is not the case. Meanwhile, Clarke said he was querying why Sir Thomas was asking him to repay £4,733. “Around £1000 is for cleaning. The balance is apparently for gardening, but I can’t understand what he’s on about. I’m bewildered because I’m sure I never claimed more than £200 or £300 pounds for gardening,” he said. An announcement just came over the Press Gallery speaker system. 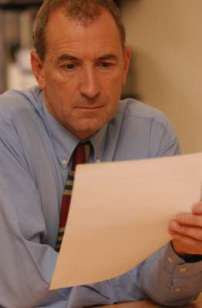 Picture: Bob Ainsworth sitting in an empty room in Budapest looking at his watch. What is becoming increasingly clear – if it wasn’t clear enough already – are the lax systems and incompetence of the Fees Office. Many MPs I’ve spoken to have been asked for documents by Sir Thomas Legg which they say they provided when they submitted claims. The Fees Office seems to have lost a lot of paper. In another case an MP has been asked to pay £1,300 after Sir Thomas found the Fees Office mistakenly paid her twice for a mortgage claim. They did pay her twice, she notified them immediately at the time her records show, and they took the money back straight away. But it hasn’t registered for some reason and now the Fees Office are actually fighting her case with Sir Thomas, admitting the whole thing is their balls up, to prevent her from having to pay again. 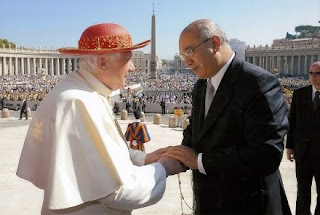 Keith Vaz and Alan Duncan would probably argue they have little in common. But now they have one thing. Former hack and anti-sleaze man Martin Bell is hunting for candidates to stand against the MPs in 2010. Both MPs did not come out well of the expenses scandal. Mr Bell, who stood against Neil Hamilton and became Independent MP for Tatton, told the Leicester Mercury: "I think it could work, we just need to find the right candidates." He has already got two local people lined up apparently. The new shadow attorney general Edward Garnier MP has also been asked to repay over £3,700 that he claimed. Garnier said he only ever made one claim for gardening, £1,920 in March 2006, and it was for several years’ worth of stuff. But because he submitted the claim at one time it exceeded Sir Thomas’ £1,000 annual limit by £920. The rest of the demanded payback, some £2,796, was because the amount his documentation showed he was claiming for rent was more than his tenancy agreement suggested he needed to. The shadow attorney general said this was because he had classified all monthly claims – for food, bills etc. – as “rent” on the form. If he’d filled out the form properly he would not have been penalised, he said. He’s challenging Sir Thomas’ provisional findings, but has said he’ll pay if the former civil servant doesn’t change his mind. 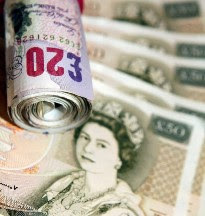 Lobbydog was speaking to Alan Simpson last night who has been told to pay back £500 for a cleaning bill. He said Sir Thomas Legg would have to take him to court before he handed the money back, and repeated the warning on Radio 4 this morning. The problem has arisen because in one year Simpson claimed £2,500 for cleaning, which is £500 above Sir Thomas’ retrospective limit. The Labour MP, who is standing down at the next election, told me: “There is something dangerous about someone coming in and retrospectively moving the goal posts. Sir Thomas also found that Simpson had been over paid for a water bill – after he claimed through 12 months of the year, when the utility company actually only charged in eight months. He said: “Sir Thomas’ review is a helpful procedure, I’m glad it was carried out. The water bill was a technical error and I’m happy to repay that – it comes to about £200. Believe it or not there is one MP who was positively beaming after getting his letter from Sir Thomas Legg today. Tory Alan Duncan was told that he needed only to pay back £218 for his gardening expenses – the member for Melton has already paid back £4,700. Theoretically he could re-claim £4,482 – though he won’t of course, because it would be political suicide. Duncan went on to get sacked from his shadow cabinet position after getting caught on a secret film saying MPs were being treated “like sh*t” over expenses. By the sounds of it many other MPs who received letters today would now agree with him. MPs started to get back to me overnight to let me know whether Sir Thomas Legg wants them to repay any money. The first to get back have all had a “clean bill of health” as one Labour MP put it. But there is some seething resentment over how this whole thing has been dealt with and part of that anger is directed at the press. Yesterday afternoon when I walked through Members’ Lobby, where MPs’ pigeon-holes are, there were a bunch of hacks hanging around waiting for someone to turn up and start looking through their mail – it all had a feeling of ‘vultures before the feeding frenzy’. The thing is, the press are a constant. That is not to say they are always right or dignified, but they will always act the way they do because they are competing with one another for stories. They certainly cannot be expected to act as a single, reserved group. The authorities, however, could have minimised damage by being open, and doing so through a coherent media strategy. They should have given notice to MPs that they would receive an email today at, say, 11am, and then at 1pm put out a general release with a list saying who has to pay what to every single news outlet under the sun. No-one has an exclusive, hacks concentrate on the big stories ie Brown and Cameron, and no-one has to scrabble around hounding MPs all day, so they would be happy too – it’s the plaster rule, rip it off quickly for short sharp pain. Instead they handled it in the worst possible way yesterday – telling people that the letters will be out sometime on Monday and then leaving it until late at night to really put them out, giving the media a day to scrabble around, speculate and build up the tension. Rant over. 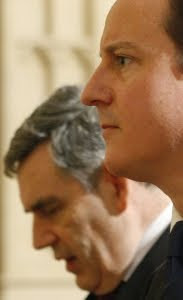 Downing Street confirmed that Gordon Brown has received a letter about his expenses claims from Sir Thomas Legg. Sir Thomas said the Prime Minister should pay back over £12,400 in claims made on his constituency and London home. 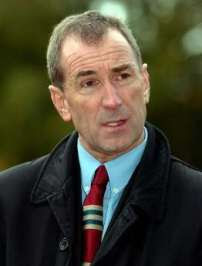 The Prime Minister's spokesman said Brown had already made clear he would repay any money requested of him. 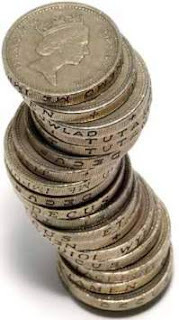 Clegg was first out of the blocks announcing he'd pay back over £900 – which makes Brown's claims look humungous. What does David Cameron have to tell us about his mortgage payments? Don’t Panic – the activists behind the Alan Duncan and Anthony Steen videos and the Jacqui Smith plaque – will strike again this afternoon. This time they are hitting out at the return of Lords Truscott and Taylor – who became embroiled in the cash for peers scandal earlier this year. The group will plant this spoof Foxton’s estate agent sign – minus the redaction – somewhere in Westminster. Lobbydog is trying to chase up which MPs have been sent what from Sir Thomas Legg. Every MP is going to get a letter of some sort today, but only some will be asked to repay money. Legg’s press people are not putting out lists of the MPs who will have to pay and those that won’t – which was surprising given what’s happened in this whole saga so far. They are setting themselves up for endless media speculation, a drip-drip of expenses stories and a constant battle for exclusives over the next three weeks, which is the period in which members must respond. If they just put out a list today of everyone being sent letters asking them to repay, it would rob any particular paper of an exclusive and take the legs out of the story. But total transparency seems to have taken a back seat again.